The mysterious, silent watcher of the jungle. Hue is everywhere and nowhere, popping up in every episode, if only for a moment. He moves slowly, and is slow to anger. Hue is a force of balance, giving gnomic guidance when they need help. 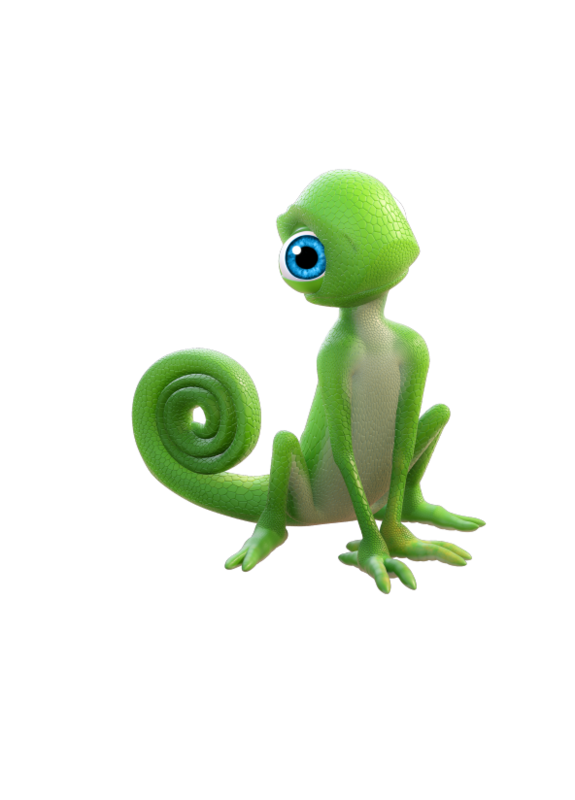 Although he never speaks, the wise chameleon’s constantly colour-shifting skin is a virtual display screen of his thoughts and emotions, and it's the one thing he's deeply proud of. Chameleons’ eyes can each move in different directions. When they spot prey, both eyes will lock onto it, allowing the chameleon to see in 3D, so they know how far to shoot out their tongues. This is known as “stereoscopic vision” – we have it too!